What should I do to prepare for the actual renovation process? Your contractor will have many tasks for you to complete within a specified period. Here are a few thoughts from my experience: 32 Tips for a Successful Remodel in Ontario. If it is a large-scale remodel, plan and budget to live elsewhere for your sanity as well as the crew. It is impossible to keep the job site pristine. Make plans to house your pets elsewhere during a significant remodel. If they are old, you may find that the stress is too much for them. Also, your contractor does not want to be responsible for your pet getting out of the house or for the pet being injured. Keep your children out of the job site area at all times. It is a dangerous place, and they can get hurt. Plan for the job to take longer than the estimate. Better to be prepared than disappointed. Always include an extra 5 – 10% for additions to the scope (it always happens) and for unexpected things such as construction problems, mold, etc. Until the walls and floors are open, the contractor cannot be sure of what he will encounter that may change how something needs to be constructed. 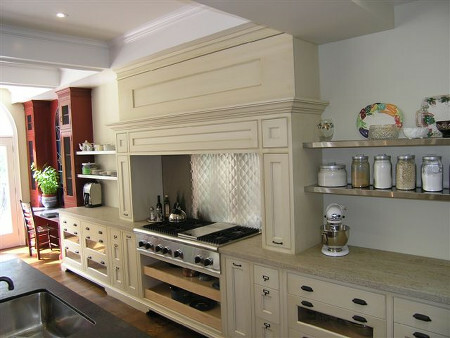 If you are remodeling a kitchen, be sure to set up an alternate cooking area. You will need to plan well in advance to empty all spaces that will be affected. You will also need to store the boxes and items. Do not plan to store items in the garage or basement. They will be in the way. Be realistic about timelines. If you have special events or deadlines, be sure that the job is scheduled to be completed at least three months in advance. Remove all valuables from the house before work commencement. Talk to your insurance agent about coverage for workers or for other issues that might lead to a claim. The coverage should be increased after the remodel. If the job requires a loan, find out from your loan officer before starting the design what they will loan for a remodel. Plan to have your vehicles out of the garage for the period of the remodel. It will be a staging and storage area for the contractor. It is a good idea to have a working land line at the job site for the contractor. I have worked in neighborhoods where there is no cell phone coverage, and it is inefficient for the contractor or subs to leave the job site to make calls. It is even better if you have an extra line for a fax or computer. Be sure to take your own before pictures for your records. Take many pictures throughout the remodel including the wall cavities so you have a record of what is behind the walls for future reference. It is a nice touch to offer bottled water and occasional food to the crews. Happy tummies make happy job sites. Make sure the contractor includes provisions for the location of a dumpster or trash removal. Since remodeling involves a mess, please understand that some debris on the site is typical. You should request that the site is broom clean, and all excess trash be removed at the end of each day. Agree in advance with the contractor if you require a Port-a-John or if you are willing to let the crew use a bathroom in the house. 20.Provide all contact information and emergency contacts to your contractor and neighbors. Alert your neighbors about the remodel before commencement. Discuss what it will entail and make sure you have an understanding of the dumpster, other cars, trucks, and Port-a-John. Make sure the contractor has the Porta-john serviced at least once a week especially in the summertime. Ask the contractor to compact the dumpster as work progresses and if items are blown out into the neighborhood, be sure to have the contractor provide clean-up. Depending on the time of year, you may want to shut down your sprinkler system before the job start. Make allowances for watering trees and plants as necessary. Discuss snow removal and lawn maintenance with the contractor. 26.Discuss emergency procedures with the contractor. If you have expectations that the contractor hasn’t discussed, be sure to bring them up before the work beginning. Make sure the contractor provides booties for the crew as the project comes to an end. Have an alarm system installed before materials being delivered to the job site and make sure it is set each day. Make appointments with your contractor to review the work on regular basis. It is best if you don’t just drop in without notice as it can disrupt the work schedule. If you have any concerns throughout the process, let the appropriate party know quickly (and in a positive way; reputable people always want to do their best work). Ask the contractor for proof of insurance for himself and his crew. Request that the painting subcontractor includes touch-up after you move in. All jobs need a touch-up. Be sure to celebrate when the job is done. Invite your friends and family, and if you were happy with the results, include the designer in your gathering and a few of the designer’s prospects. If you are happy with the results, be sure to offer referrals. Request lien waivers at the end of the job.